May 13,1967---November 23,2001 Melanie Janene was born in Charleston, South Carolina and began studying voice from the age of six, as well as learning to play the piano and the clarinet. Growing up her mother would listen to Aretha Franklin, Roberta Flack. Melanie would mimic the female vocalists she saw on television or heard on radio. Later on she financed her college studies with appearances in talent shows and smaller band concerts. She frequented a club called The Peacock Lounge, getting up and doing jam sessions when the live band invited people up to sing. Melanie Janene was born in Charleston, South Carolina and began studying voice from the age of six, as well as learning to play the piano and the clarinet. Growing up her mother would listen to Aretha Franklin, Roberta Flack. Melanie would mimic the female vocalists she saw on television or heard on radio. Later on she financed her college studies with appearances in talent shows and smaller band concerts. She frequented a club called The Peacock Lounge, getting up and doing jam sessions when the live band invited people up to sing. She had long dreamed of a career in music and in February 1992 Melanie went to Germany. Her sister lived there with her U.S. Army husband and Thornton had dual citizenship in Germany and the United States. His uncle, Bob Chisolm, a singer and piano player, encouraged Melanie to give the German nightclub circuit a try. She had been singing in a Macon, Ga., band, Danger Zone, pulling down $50 on a good night. However Bob Chisolm told her that on a bad night in Germany she would make $150. She tried it and soon found work in studios recording demos. It was her recording of the song "Sweet Dreams" that caught the attention of producer Frank Farian, the mastermind of the infamous '80s duo Milli Vanilli. Farian took Melanie under his wing, teaming her with rapper Lane McCray in the duo La Bouche, which is French for "The Mouth". She left La Bouche in February 2000 to be replaced by Natascha Wright while Lane remained a part of the project. She signed a record deal with Sony/Epic Records. Her first solo single was released in November 2000, titled Love How You Love Me, a ballad (the CD-maxi includes a few dance remixes). Melanie presented her new single on November 29, 2000 on the RTL Spendenmarathon, and on December 1 at the Dome in Berlin. The follow-up single was entitled "Heartbeat". On May 7, 2001, Melanie released her first solo album entitled Ready To Fly under the label X-Cell (distributed by Sony/Epic Records). 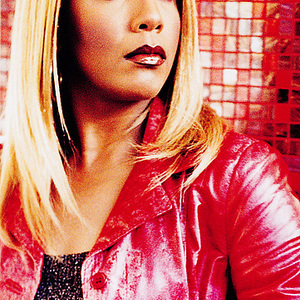 She continued to do club appearances in the United States under the billing "Melanie Thornton, formerly of La Bouche". On the night of November 24, 2001, Melanie died in a plane crash of the Crossair Flight 3597 near Bassersdorf by Zurich in Switzerland. She gave her final performance in Leipzig and then drove to Berlin where she took the ill-fated plane to Zurich for radio and TV appearances (among others, the broadcast "Die Bar" on TV3, which was cancelled) to promote her new single "Wonderful Dream (Holidays Are Coming)" and her album Ready To Fly (New Edition). "Wonderful Dream" was a Christmas ballad recorded for a German Coca-Cola TV commercial. Although Thornton's death occurred practically on the eve of that year's Christmas season, Coca Cola decided to stick with the commercial as planned. It has also been used in Christmas Coca-Cola TV commercials in the Germany, Ireland, UK, Belgium, The Netherlands, Denmark and Sweden. Thornton is buried in Mount Pleasant Memorial Gardens, Mount Pleasant, South Carolina.